The European Space Agency (ESA) announced plans today (November 10, 2014) to implement a series of maneuvers to reposition one of two Galileo full operational capability (FOC) satellites left in the wrong orbit this summer, as a prelude to its health being confirmed. The aim is to raise the lowest point of the satellite’s orbit — its perigee — to reduce the radiation exposure from the Van Allen radiation belts surrounding Earth, as well as to put it into a more useful orbit for navigation purposes. Should the two-week operation prove successful, then the sixth Galileo satellite will follow the same route. 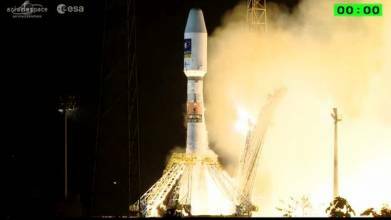 The Galileo pair, launched together on a Soyuz rocket on 22 August, ended up in an elongated orbit travelling out to to its apogee, a point of 25,900 kilometers (16,058 miles) above Earth, and back down to 13,713 kilometers (about 8,500 miles). The target orbit was a purely circular one at an altitude of 23,222 kilometers (14,400 miles). In addition, the orbits are angled relative to the equator less than originally planned. The two satellites have only enough fuel to lift their altitude by about 4000kilometers — not enough to correct their orbits entirely. But the move will take the fifth satellite into a more circular orbit than before, with a higher perigee of 17,339 kilometers. “The new orbit will fly over the same location every 20 days,” explains Daniel Navarro-Reyes, an ESA Galileo mission analyst. The orbit will also allow Galileo’s Earth sensor to hold a stable direction for the satellite’s main antenna to point at Earth, according to Navarro-Reyes. The recovery is being overseen from the Galileo Control Center in Oberpfaffenhofen, Germany, with the assistance of ESA’s Space Operations Center, ESOC, in Darmstadt, Germany. The two satellites were previously Sun-pointing. On 3 November that changed for the fifth satellite, as it transitioned to normal Earth-pointing mode. 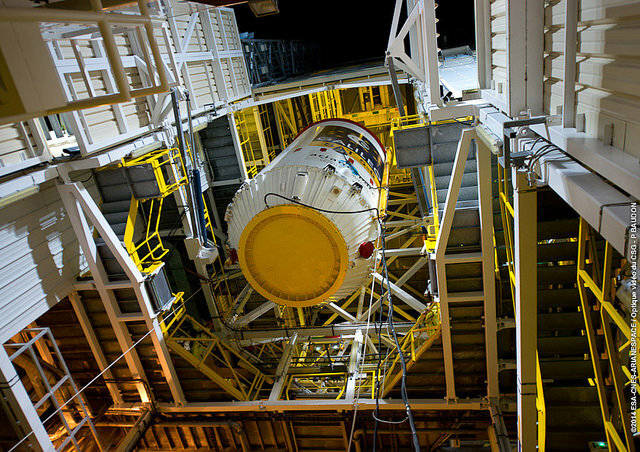 During November, some 15 maneuvers will take the satellite into its new orbit. Once there, it can formally begin in-orbit testing. The host satellite’s health is checked first, followed by more detailed navigation payload testing.